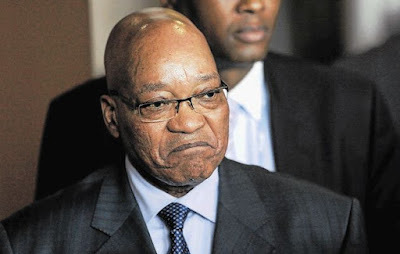 The African National Congress's official facebook page has issued a surprise statement by making an announcement that the president has offered to pay back some of the money that amounts to R240 million that was spent for his Nkandla homestead upgrades. This announcement comes in just 5 days before the Economic Freedom Fighters is set to march to the constitutional court to hear a case the party lodged against the president for the refusal to adhere to the public protector's findings which compelled the president to pay back some of the money which was spent for non security upgrade to his Nkandla homestead. The ANC welcomes the decision of President Zuma to find a permanent solution to the Nkandla matter within the recommendations of the Public Protector, as per the President's submission to the Constitutional Court. It is the view of the ANC that such a solution will bring closure to the long drawn matter which has been a focus of parliament for some time. Our support for the proposed solution does not imply that President Zuma is responsible for wrong doing in the security upgrades at Nkandla, we still call for prosecution of those responsible." The presidency said in the statement that Zuma’s attorneys had written to the registrar of the Constitutional Court on Tuesday morning proposing “a simple course to implement what the Public Protector recommended as remedial action contained in the report”. The statement said the president “remains critical of a number of factual aspects and legal conclusions in the report”. The report is widely interpreted as an admission that the president is liable to pay back the money and has agreed to pay.